Advent Devotionals and Activities for Families! GREAT for you this year! Advents Activities and Devotionals for Families - pass them on too! Devotional and Activity Ideas for ALL Families! Advent Practices for Families of ALL ages! Over the history of Christianity (at least since the middle ages), Christians have celebrated certain “seasons” as a manner of remembering the story of God. These seasons were times of reflection and prayer but also included certain “rituals” that reminded Jesus followers and their families of the mighty acts of God. Advent is one of those seasons…it is a four-week people or preparation PRIOR to Christmas. Advent is one of my favorite liturgical seasons of the year. It is a season of preparation, anticipation, and includes an invitation to dwell with what it means to “wait” for the coming of the Emmanuel, God-with-us (revelation of God through Jesus and his birth/incarnation). With the culture producing Christmas-crazed kids, this season of waiting can bring a tricky balance between all our cultural preparations as well as that which brings our hearts into a place of peace and hope. How can we enter into the spirit of Advent as a family when the whole world is already spinning with Christmas? There are a number of actions and activities that can help a family “wait upon the coming of the Lord” and to tell/relive the story of God’s redemption. One way that can be very helpful is to lower your expectations for elaborate celebrations. Sometimes SIMPLICITY is much more profound than all the “bells and whistles” of the holidays. Put it this way – if your preparations are causing you more stress then joy, you may want to reconsider the extensiveness of your plans. The big “idea” and question to pose is this, “how does your family make the weeks before Christmas special and sacred?” If you can find ways to answer that question with integrity and sincerity, you may be on the way to seeing HUGE surprises in the how the “spirit” of Christmas is celebrated in your family. So here are a few simple ways we practice Advent at your house. Try them all or settle for one or two. Remember, the idea is to focus on the newborn Savior and NOT on the stress of the season (Low-stress is always key with kids, isn’t it?). Advent Wreaths - Vicky and I grew up with the tradition of lighting candles on the Advent wreath. We also, a few years back, was exposed to an Advent wreath made by the son of devotional writer, author and speaker, Ann Voscamp. Here is the link to that wreath. You can have a “traditional” wreath on which you light a WEEKLY candle. OR, if you choose to get a “daily” wreath, you can follow the days to the birth of Jesus. Every night, you can let your kids light—and then blow out (such big privileges for small ones! )—the week’s (or the day’s candle). You also may want to add a verse of a GREAT Advent song, “O come, O come Emmanuel.” Sing it at the table as your prayer or grace. This is a simple ritual, but it can help you set a different mood for dinner during this darkest season of the year. Advent Countdown Chain – You can also make an Advent countdown chain with one name of Jesus for each day ( here’s a list of names/verses here ). The kids get excited when they hear one of the names at church—Bread of Life, Good Shepherd, Morning Star—take the time to pull out the Bible at breakfast with them and read a short verse to get our day started with something other than squabbles about cereal that YOU want them to eat vs. Robin’s favorite, Frosted Flakes! Add some Advent music to our collection of Christmas Music (whether you listen to streaming or CDs). 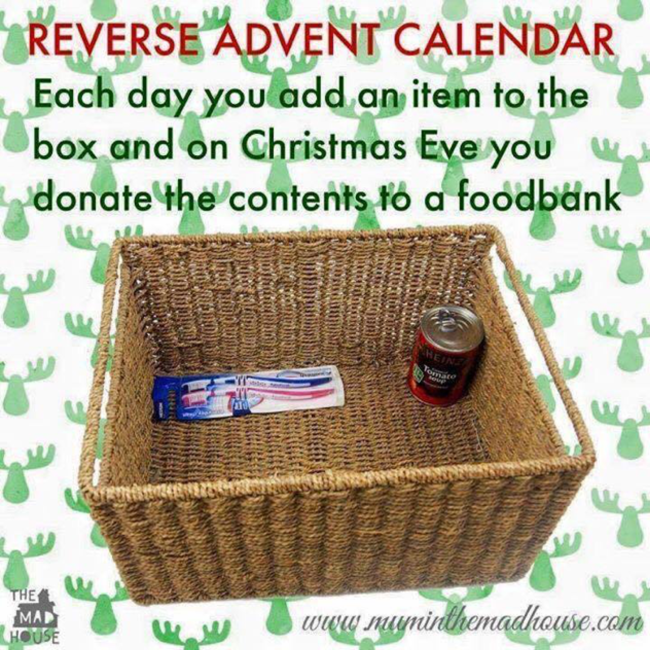 Here’s a link to one mom’s Advent selections ( click here ) . On Facebook or Instagram, pose ask your online community about their favorite Advent hymns. You most likely have plenty of friends who work and serve in churches who will offer heaps of suggestions. Thanks to iTunes, you may be able to find a playlist worth of Advent songs and hymns. Voila—an instant antidote to the constant jingle of “Sleigh Ride” on rotation from our local Christmas radio station. 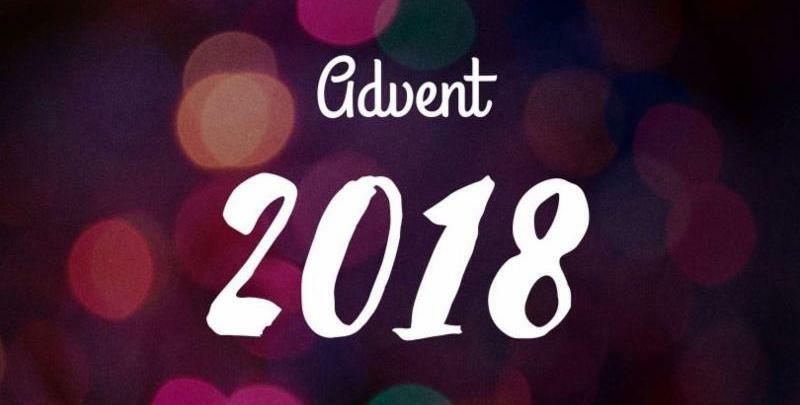 You can listen to your Advent playlists in the car during December – it is a great way to have beautiful hymns and words of waiting fill our drives through the dark and cold. This year, consider adding to your family Advent: a nightly reading from the Jesse Tree, connecting Scripture stories that lead up to the birth of Christ . You will love hearing all the favorite Bible stories from Creation through the Nativity. You can also make the ornaments yourself…make a beautiful felt set of ornaments for your Jesse Tree or versions of paper ornaments that you can color with your kids. Here are some ornament suggestions from Ann Voscamp’s website . One that Robin has followed for years – d365.org – subscribe right after Thanksgiving. This site has great music, a Bible reading and a brief meditation that you and your family can watch and follow all during the Advent Season. Spend a few more minutes in prayer each day with your family - it will help you enter into the mystery and preparation of this season. And, if you want to, share with ME some of your rituals for Advent. Next year, we can pass them on! What are your practices or plans for Advent? How does your family celebrate this season? Christmas Week Devotionals - "O Antiphons"
Other Resources for Family of ALL sizes and ages! Click on the boxes for downloads!